An interview with Adrienne Vetter. A new mural in downtown Laramie will be dedicated as one of the first events of Laramie PrideFest. 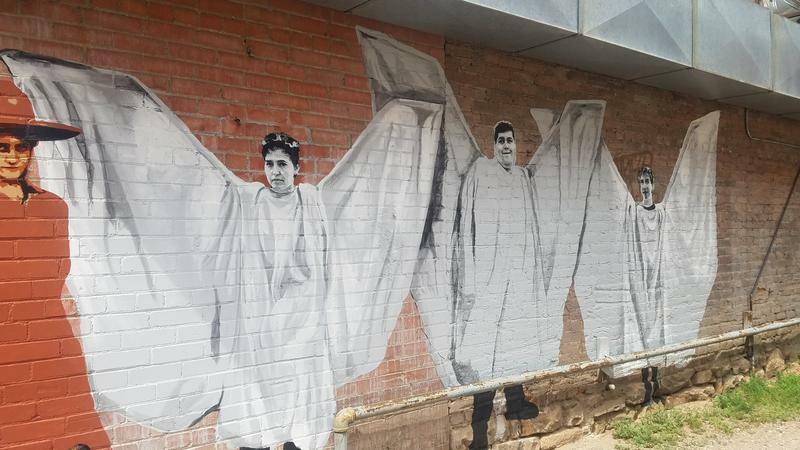 The mural features notable people affiliated with social justice and civil rights in the state - including suffragists, the University of Wyoming Black 14, and the action angels that blocked Westboro Baptist Church protestors at the Matthew Shepard murder trial almost 20 years ago. Wyoming Public Radio’s Caroline Ballard visited the mural and spoke with the artist behind it, Adrienne Vetter. 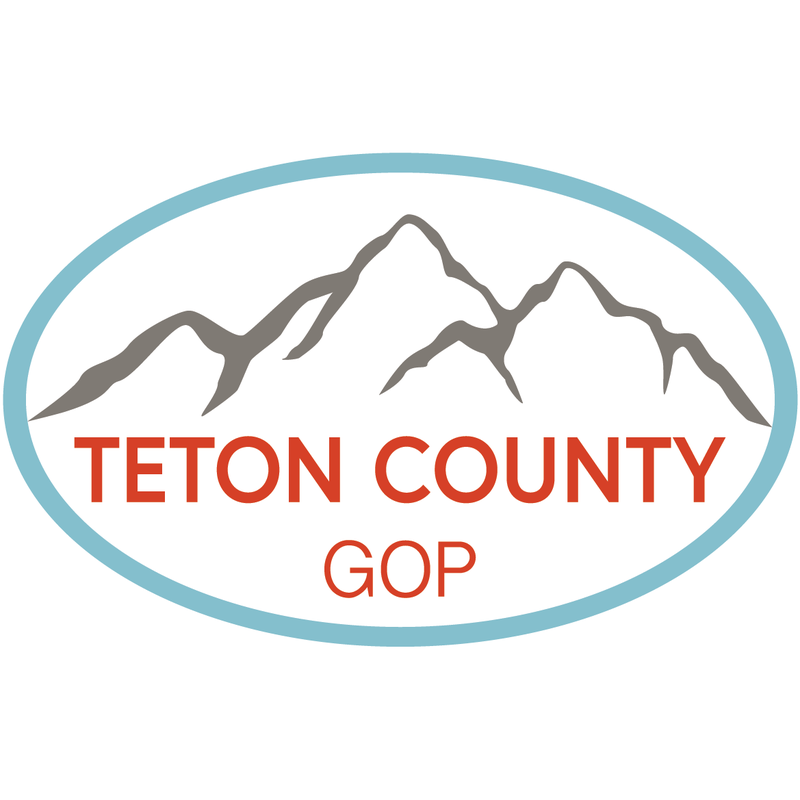 The Executive Committee of the Teton County Republican Party says it’s formally supporting a Jackson ordinance that prohibits discrimination based on sexual orientation and gender identity. 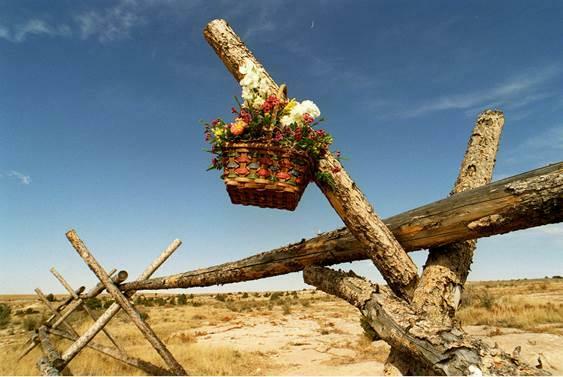 Laramie will host its second annual Pride celebration at the end of June. 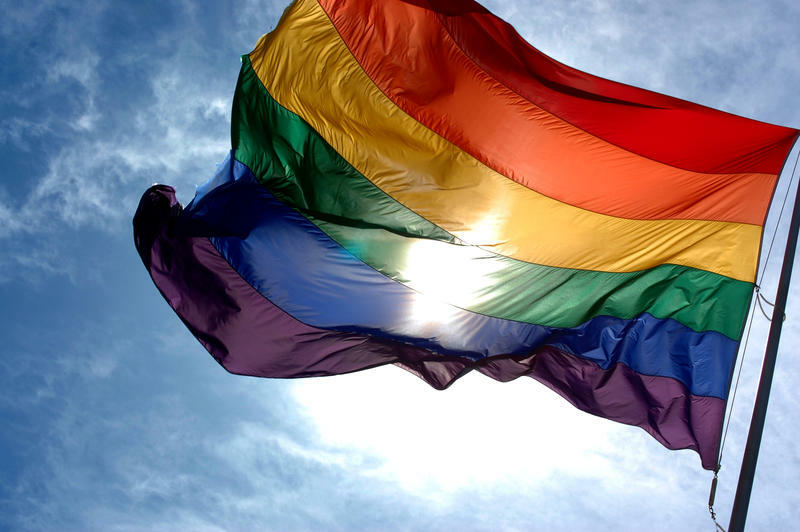 Laramie PrideFest will begin with a proclamation of Pride Month by the Laramie City Council Tuesday, June 26. 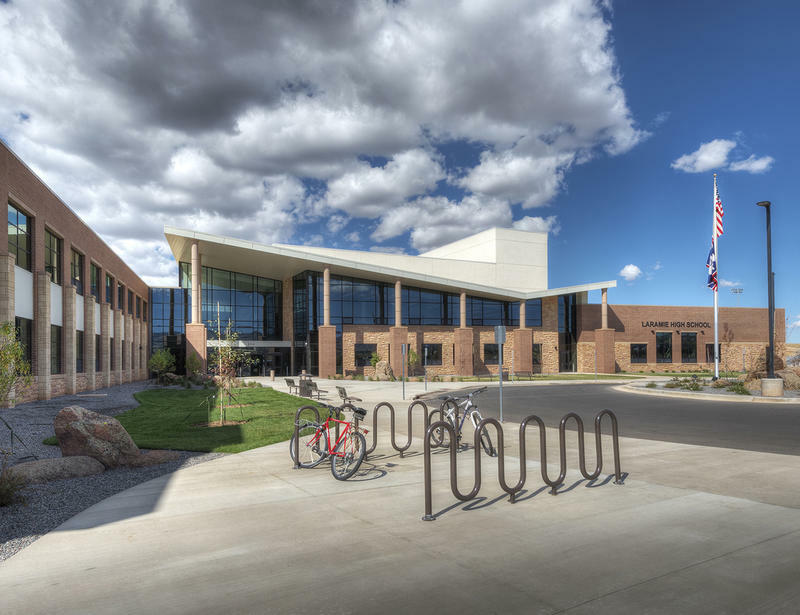 Starting this fall, Wyoming Equality will offer scholarships specifically for LGBTQ students. 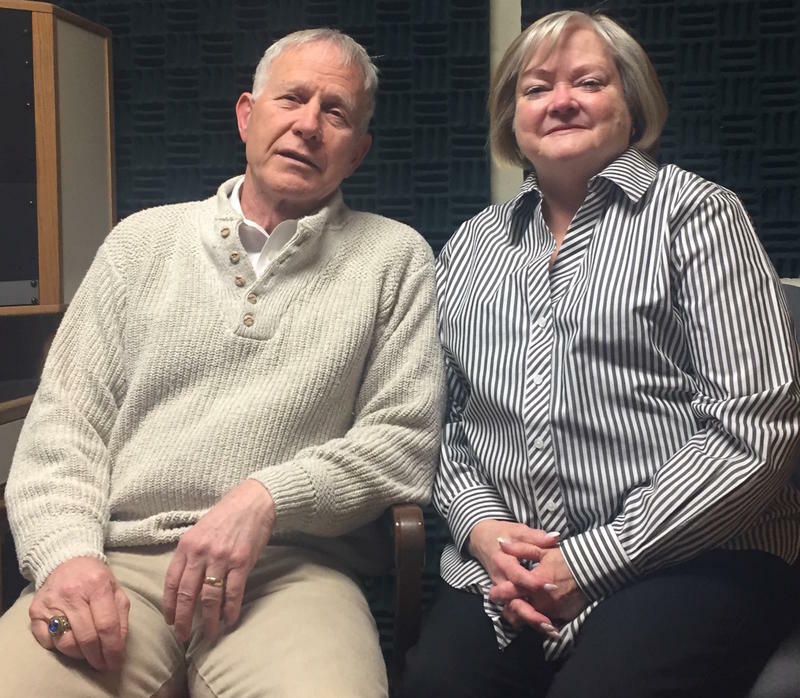 Melanie Vigil, the Co-Chair for the organization’s board, spoke with Wyoming Public Radio’s Maggie Mullen about how the scholarships will be the first of their kind in the state. 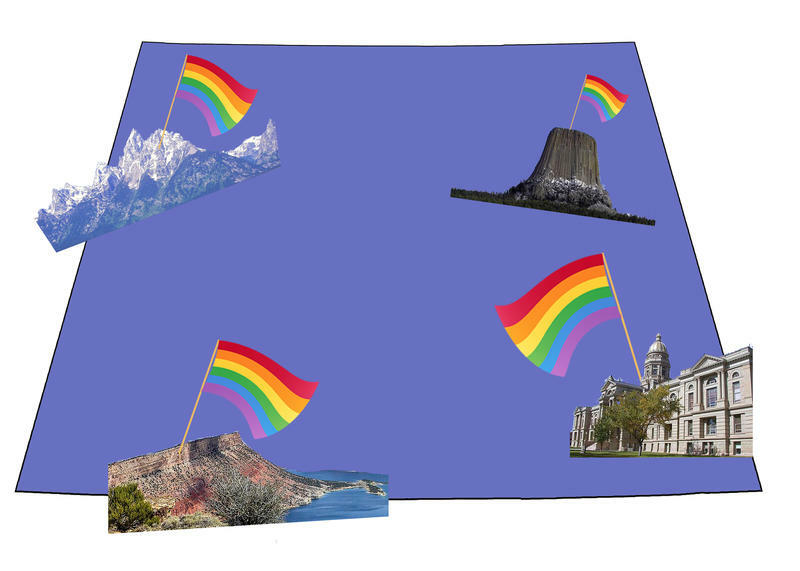 On Tuesday, Casper became the latest community in Wyoming to pass a non-discrimination resolution for LGBT residents. The resolution passed Casper’s city council with a six to three vote. It does not hold the same legal teeth as an ordinance, but Reverend Dee Lundberg said it’s a start. 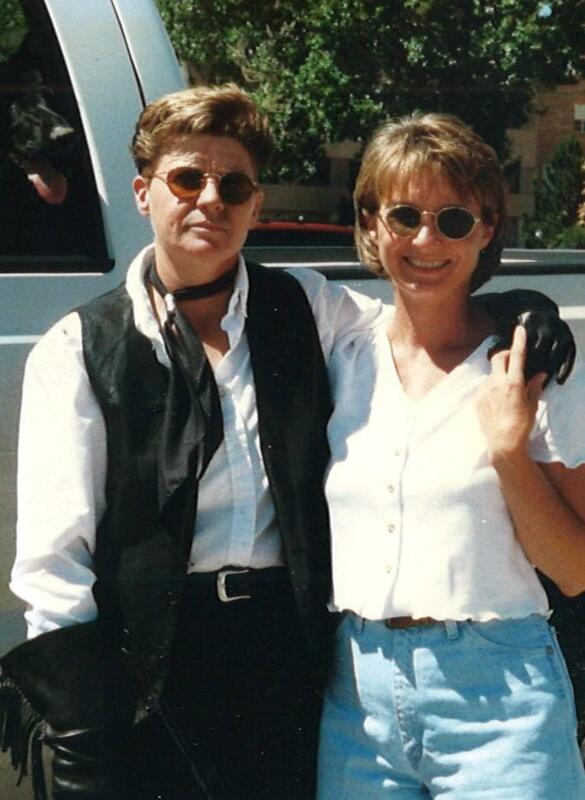 She is with Casper’s PFLAG group, an LGBT advocacy organization. During previous city council meetings, there was discussion of drafting another version of the resolution, one that would take out the specific references to LGBT people. Lundberg said she’s glad that version did not move forward. 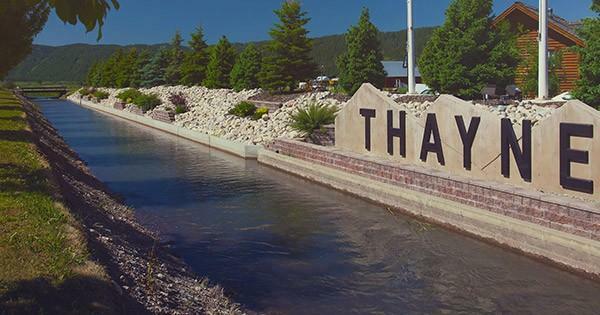 A lawsuit against the town of Thayne accuses its Mayor and town council members of discriminating against a married gay couple because of their sexual orientation. 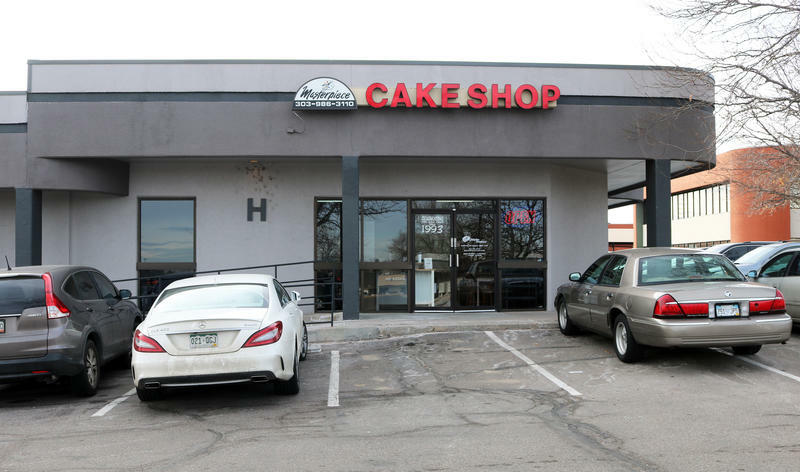 According to the lawsuit, Rusty and Marc Andrus bought “Rustlers Restaurant and Saloon” in 2015, and brought the building back up to the proper electrical and fire codes, and added restrooms, handicap accessibility, and a full commercial kitchen. But when the couple approached the town of Thayne to get a liquor license, the suit says they were the focus of discrimination. When Casper’s City Council members consider a non-discrimination resolution at their next work session in January, it will be the second time they’ve discussed it. They first saw it in November, and Dee Lundberg said it went over well with most council members. Lundberg is with the local chapter of PFLAG, an LGBT advocacy group. The holiday season can be tough for people grieving loved ones, but it can be especially difficult for those of the LGBTQ community. 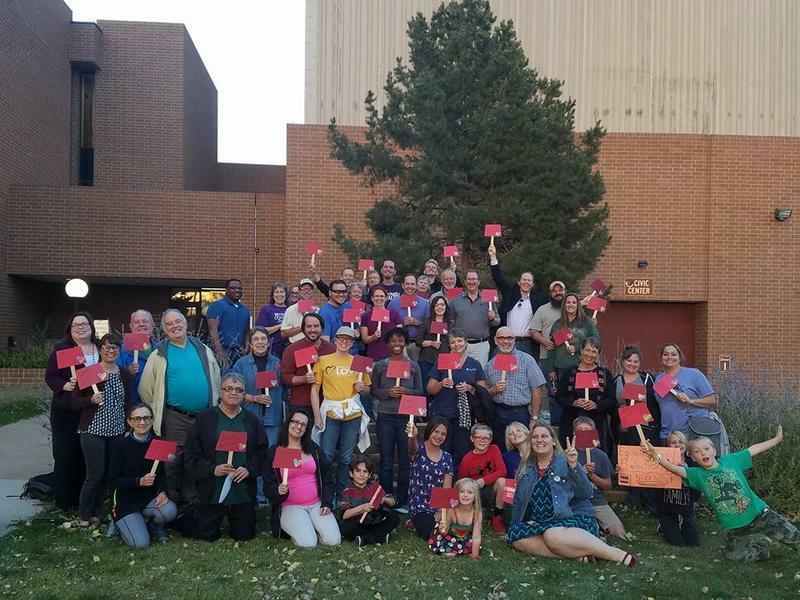 Layha Spoonhunter is one of the Two-Spirit Leadership Circle members, an LGBTQ group on Wind River Reservation that recently gathered to honor those who have been killed because of their identity. “I have seen changes through our community, but I haven’t seen them at the rapid rate I want to see,” said Spoonhunter. The Sheridan City Council passed a non-discrimination resolution, though it lacked any protections for or language referencing LGBT people. Gays and lesbians in Wyoming can be discriminated against when it comes to employment and housing. Wyoming has a non-discrimination law, but it does not include sexual orientation or gender identity. According to a recent study by the Williams Institute at UCLA’s School of Law, that leaves more than 15,000 LGBT residents vulnerable. 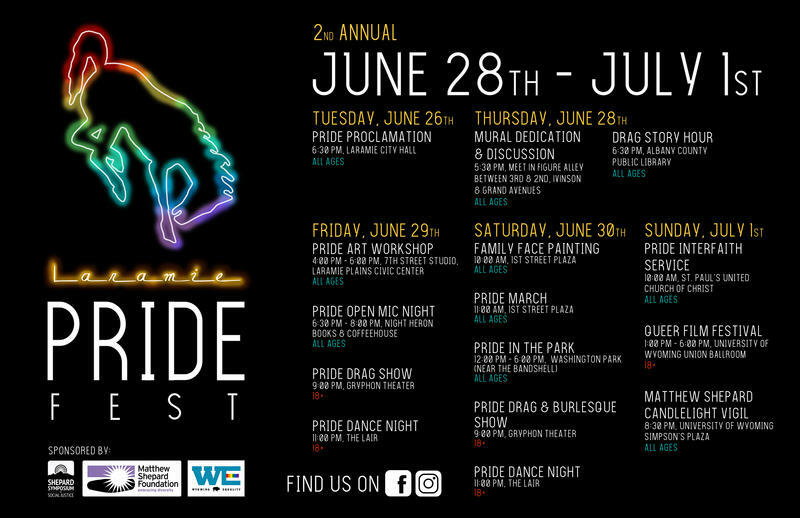 Laramie will host its first pridefest this month. 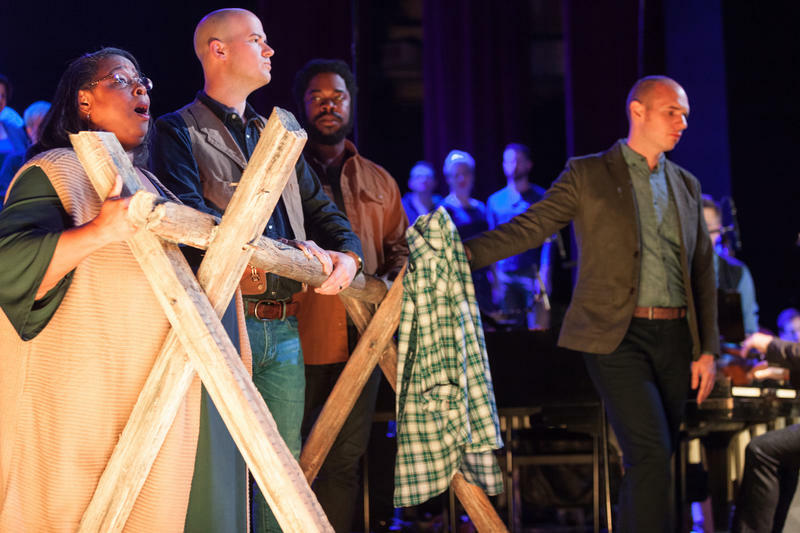 Pridefest organizer Robert West said this is a momentous occasion for Laramie since the town became so well-known after the murder of Matthew Shepard. 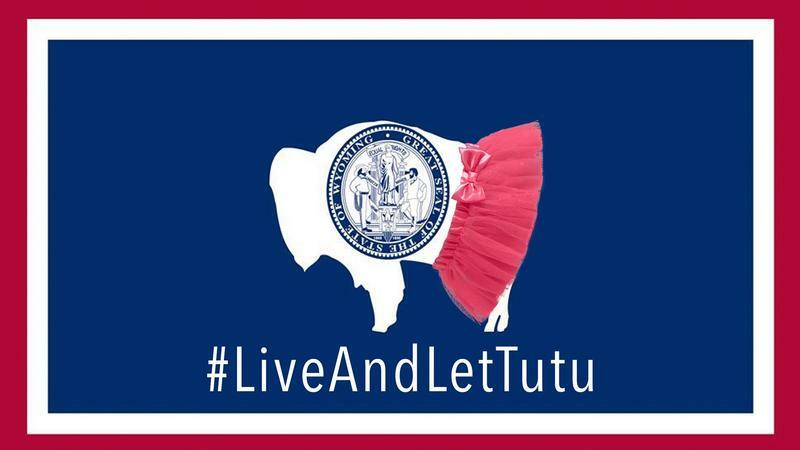 In response to Wyoming Senator Mike Enzi’s comments earlier this week, many Wyomingites are planning to wear tutus to school, work, while running errands and to the bar Friday. While visiting middle and high school students in Greybull, Enzi was asked by a student about federal protections for LGBT people and what he has done to support Wyomingites. Enzi replied with Wyoming’s live and let live mantra, but also said a man wearing a tutu to a bar shouldn’t be surprised when he gets into a fight because he’s asking for it. 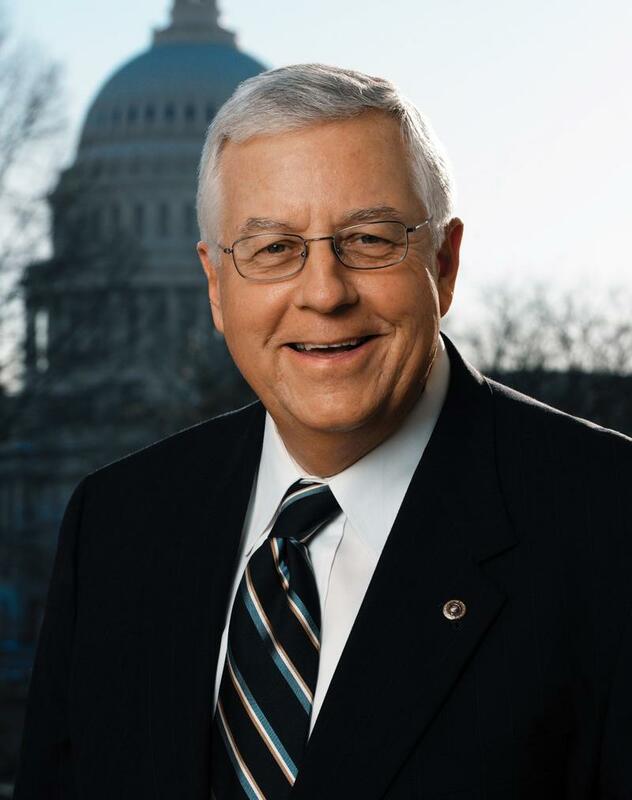 Wyoming senator Mike Enzi is receiving heat from critics for a comment he made at Greybull High School. While speaking to middle and high school students there, Enzi was asked about federal protections of LGBT people and what he has done to support Wyoming’s LGBT community. 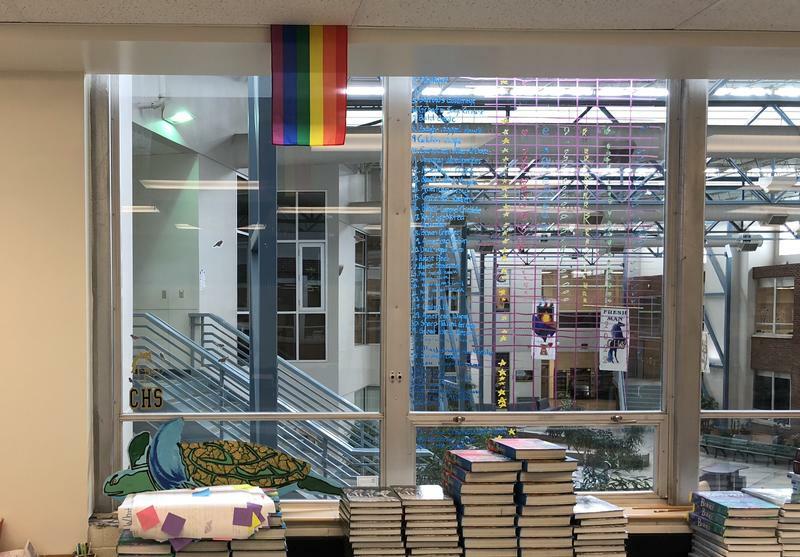 The Associated Students of the University of Wyoming, or ASUW, will propose a resolution to the Student Senate to fly the rainbow LGBT pride flag on campus in June for Pride Month. 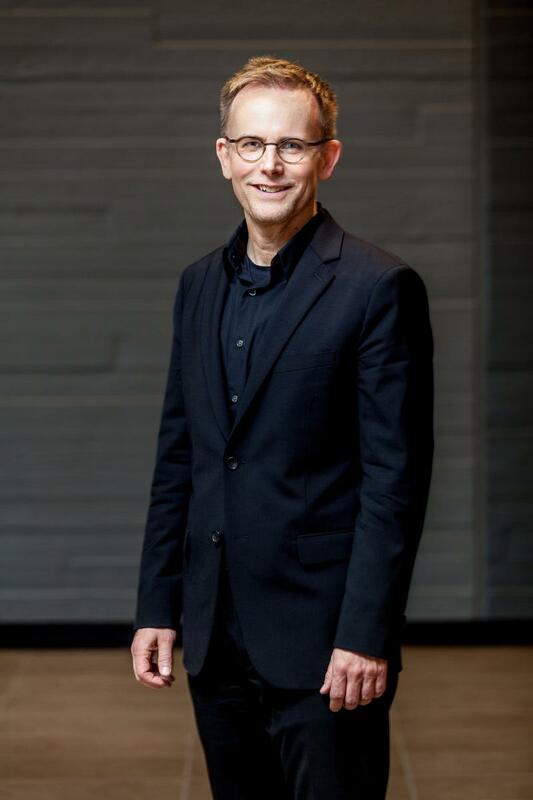 Chris Ryan, director of governmental affairs at ASUW, said the authors of the resolution wanted to show support for the LGBT community in light of recent and historic events. Hundreds of University of Wyoming students, faculty, and community members protested the outcome of last week’s election with a Solidarity Walk Out Monday. Reports of discrimination and harassment of minorities have increased across the U.S. in recent days. 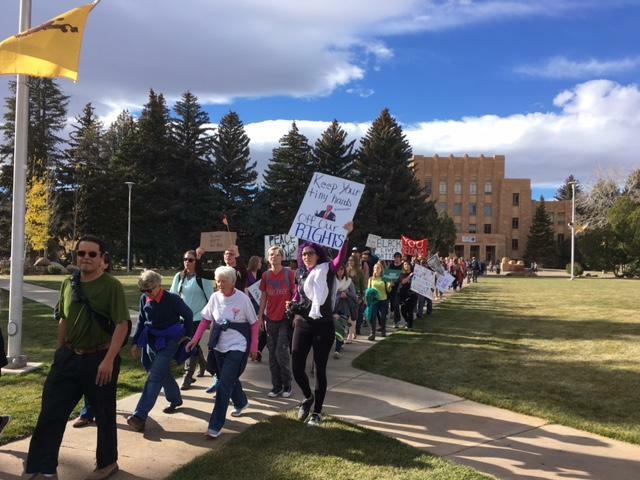 The solidarity walk, which started at the Wyoming Union before heading downtown and back, was meant to show support for LGBTQ individuals, Muslims, immigrants and other marginalized groups. 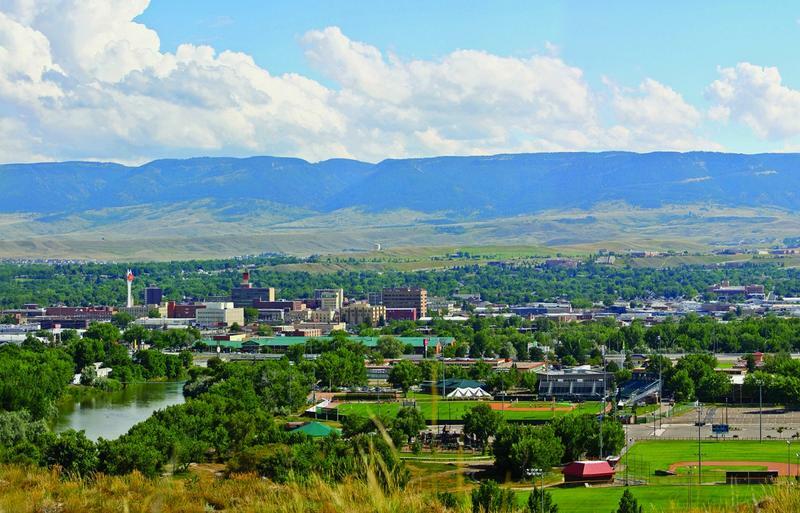 Wyoming’s cities rank below the national average in protections for LGBTQ residents, according to new ratings from the Human Rights Campaign. 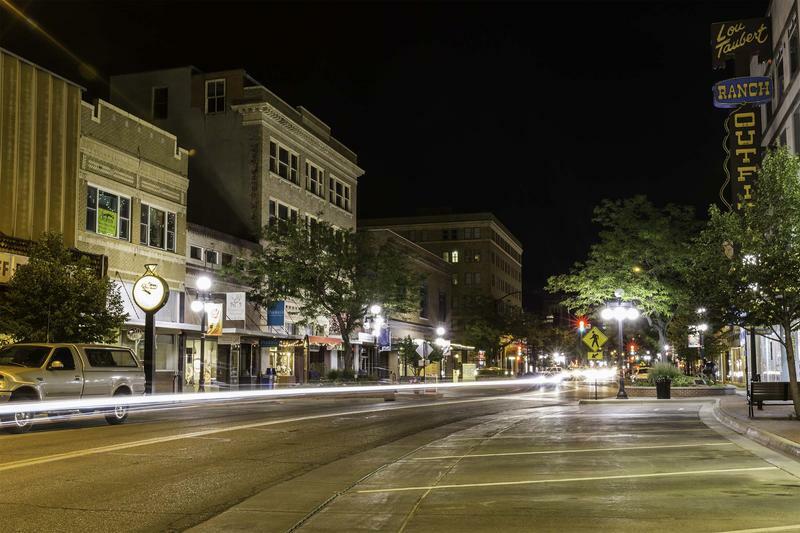 The group scored hundreds of cities across the nation in their Municipal Equality Index, giving points for non-discrimination laws, transgender-inclusive healthcare benefits and other policies. 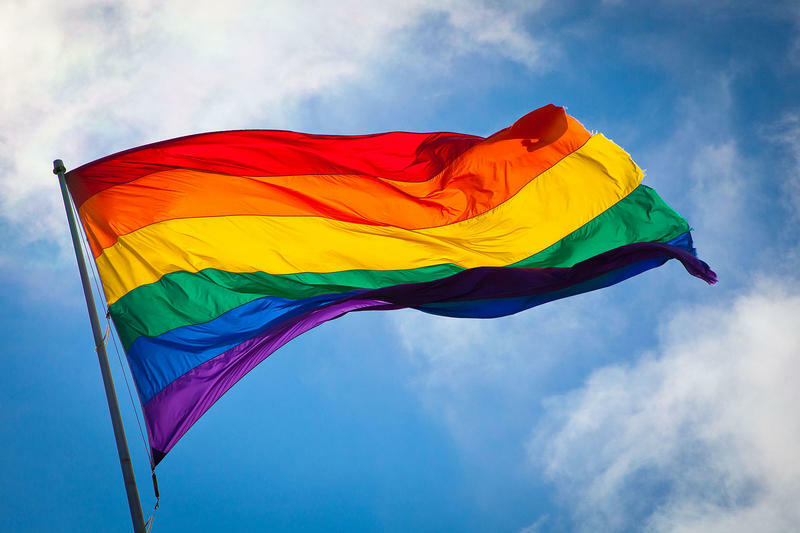 Despite the low ratings, Sarah Burlingame of the advocacy group Wyoming Equality says there is growing support for LGBTQ rights around the state. 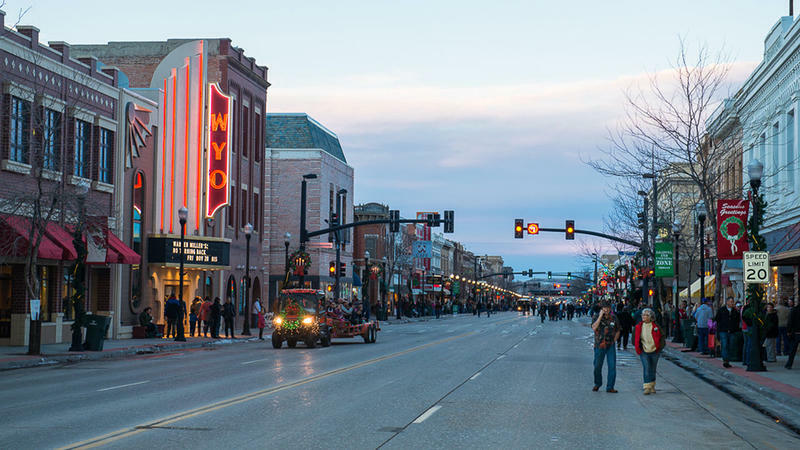 On Monday, Douglas became the most recent Wyoming town to pass a non-discrimination resolution to support LGBT people. That same night, a similar resolution passed its first reading at the Cheyenne City Council meeting. Non-discrimination resolutions hold no real legal power. 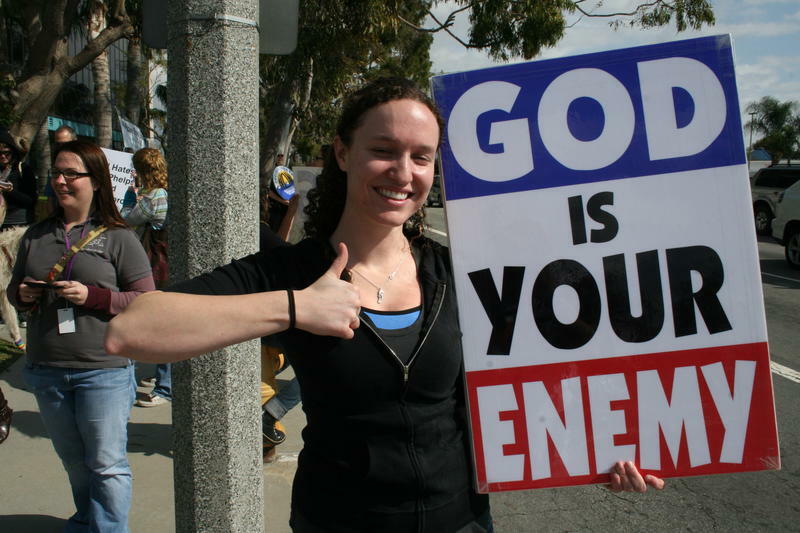 Instead, they are designed to encourage the Wyoming Legislature to pass a non-discrimination state law. 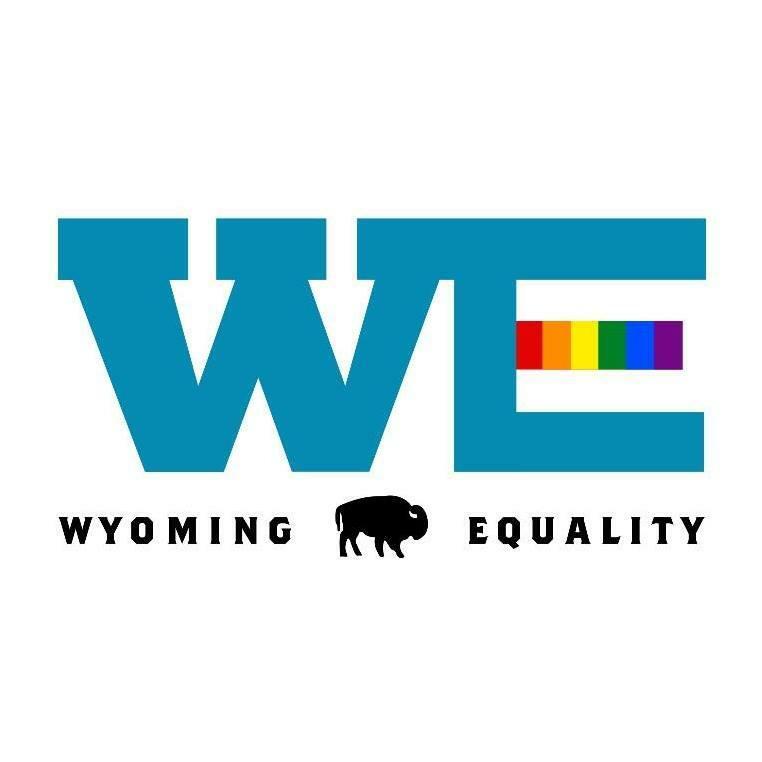 Wyoming Equality spokeswoman Sara Burlingame said a state law would hold legal power and would protect LGBT people in Wyoming from discrimination in matters of housing, employment, and accommodations.